Learning happens together. When students, faculty and staff from all walks of life come together to challenge and support each other toward academic, professional and spiritual growth. It’s why more and more high school students are choosing Lewis University’s supportive educational community to prepare for their future career. Lewis’ beautiful “right-sized” campus offers small class sizes along with more than 100 academic, athletic, social and service organizations to get involved with – the perfect combination of community and opportunity to make your college experience and career preparation everything you want it to be. Although not required, Lewis encourages students to submit a personal statement or letters of recommendation to improve their admission possibilities. Upon receiving a completed application, the Office of Undergraduate Admission will notify you of your status within 1 to 3 weeks. Nearly 200 high schools are represented by our freshman class. 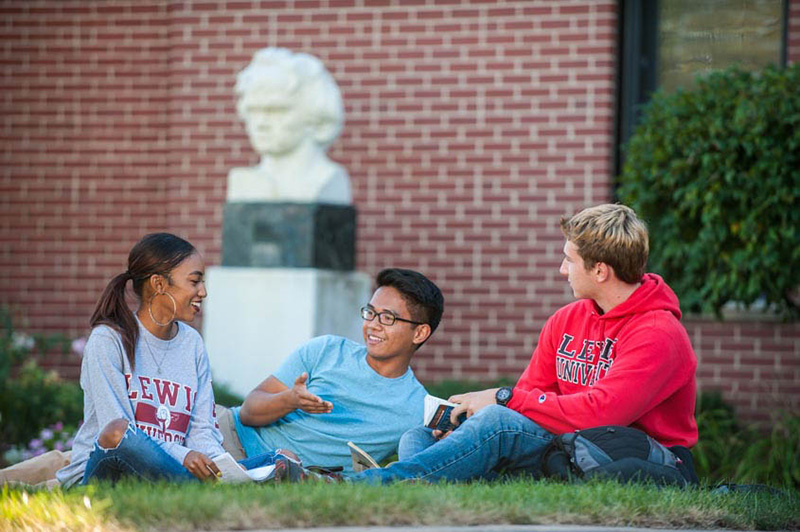 To set up a visit, or for any other questions regarding Freshman Admission at Lewis University, contact us at admissions@lewisu.edu or call (815) 836-5250.